Everybody makes ear wax, and it is an important part of our ear health. Our ears are built to self-clean, so it should be uncommon to have a need to clean out the wax. Typically, the excessive ear wax collects for a reason, and it might be best to see a physician to find out why it is occurring. But under NO circumstances should you EVER use those dangerous ear Qtips! I remained surprised that people regularly still use dangerous ear Qtips despite the manufacturer posting an extremely clear caution. For many years, each box of Qtips warns “Do not insert inside the ear canal.” But everyone ignores this! Since I love to teach, let me share the history of Qtips with you. Back in the 1920’s, a man named Leo watched his wife struggle while cleaning their child. She was wrapping cotton on toothpicks to better reach the tiny areas. Being a loving and supportive husband, he invented “Baby Gays” which tightly wrapped cotton onto the tips of wooden sticks. So, there you have it! Qtips were initially made to reach into tiny baby areas, not the ears. A few years after invention, the name was changed to Qtips where the “Q” stands for quality. For those of you dying to learn more about the Qtip story, check out this post for a more detailed timeline. The one thing missing from this timeline is that in 1970, a warning label was added to the box saying not to use them in the ear canal. As a society, we worry about safety and demand manufacturers be held accountable and list the dangers associated with their products. It seems we like to know, but also like to ignore, their warnings. This situation is similar to people ignoring the Vaseline warning to ONLY use on the outside of the body. I have warned that the use of Vaseline in the nose may be deadly. Yet it is still widely used. The Qtip manufacturer has done everything it can to educate and inform us about their product. However, because of ongoing misuse of this common household item, they have earned the reputation of being dangerous ear Qtips. Not dangerous Qtips, but just dangerous EAR Qtips! Sometimes, if we do not have specific reasons to avoid something, or if we do not fully understand the consequences, we disregard warnings. In 1990, a journalist from the Washington Post wrote a cheeky article about Qtip use in the ears. The article indicates that, indeed, there is a warning to only use the Qtips around the edges of the ear, but that it is too difficult to avoid going into the ear canal. Really? The purpose of this post is to educate you specifically on some of the things I have had to treat due to dangerous ear Qtips! I understand that you or your child may have symptoms due to a wax impaction (excess wax clogging the ear); however, you should speak with your physician about ear wax treatment options. As a Pediatric ENT physician, some of these problems were caused when parents used them on kids but others were caused by kids personally using them, imitating what they have seen their parents do. Always remember that children model their behavior after yours, so watch what you do in front of them! Without further ado, I bring to you some reasons to avoid Qtips in the ear. The main point shared about using Qtips in the ear canal is that it can make wax impaction worse. Why is this? Well, several reasons. One is that the round tip pushes wax from the sides of the canals. This then moves wax deeper into the ear, filling the center area. By the way, this also happens with the baby-sized Qtips! Another important thing to know is that we have different shapes to our ear canal. The canal slopes up and then slopes down toward the eardrum. 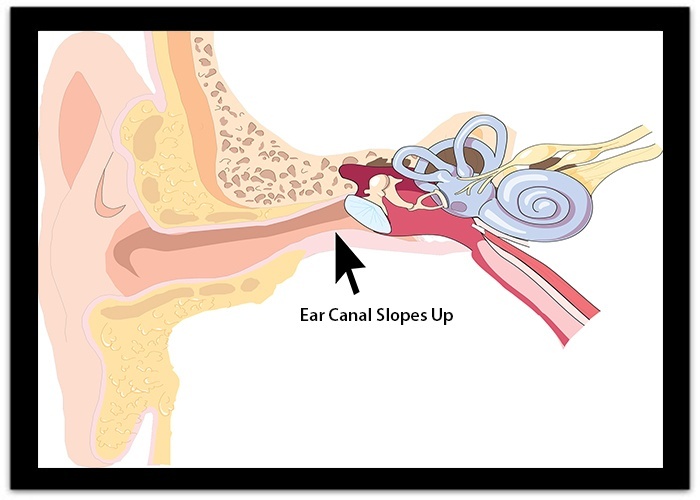 This slope can vary from slight to severe, which can also make it difficult for physicians to see around the corner to fully inspect the eardrum. If you have a sharply rising slope in your ear canal, it is easier to push wax to block the area at the top of the slope AND it is harder for wax deeper in the ear to self-clean. Of course, everyone tries to be gentle as they twirl those addictive Qtips in their ears. Yes, I have done it and cannot deny that it can feel good! Whatever has made you feel the need to insert a Qtip into your ear has probably irritated the skin. When you rub the irritated skin, you tear off the protective outer layer and consequences can happen. Just like a skinned knee, when the skin is removed: it might heal normally, bleed, become infected, form scar tissue or lead to other complications. A common reason parents call my office in a panic is related to blood coming from the ear. Fingernails can cause a scrape in the ear canal skin when itching becomes too aggressive. However, many of the reasons I find occur due to placing a foreign object in the ear. Young kids often do this with toys and sticks, which they might know is a bad choice. Many kids do NOT know the dangerous ear Qtips are a bad choice because their parents use them in that way. Most of the time the bleeding happens from injury to the outer part of the ear canal and this heals uneventfully. If pushed further into the ear, the bleeding can indicate a more serious problem; consequently, all bleeding ears should be evaluated by a physician. Many of the things you need to know about ear infections can be found here. Although there are several types of ear infections, the main type that occurs from dangerous ear Qtips is the outer ear infection. When damaged skin allows bacteria to enter the body, an infection can occur. If mild, it can be self-limiting and not require medical care. However, more severe infections may need ear drops and oral antibiotics. Some of the most severe outer ear infections may need a hard piece of cotton (called a wick) to be inserted into the swollen ear which will allow the ear drops to treat all the infected skin. The loose fibers on the cotton tip often come off and stay in remaining ear wax. Repeated use of those dangerous ear Qtips can lead to a mixture of wax and cotton which worsens the ear’s ability to clean itself. The wax impaction can be made worse and harder to clean. Many people clean their ears with Qtips and look at the tip to see what they pulled out. Others think this is too gross and just toss the Qtip in the trash without looking at it. Unfortunately, I have treated more than my fair share of people with severe ear pain, and I find a broken off Qtip head. Yes, the entire head snaps off in the canal, usually due to vigorous rubbing. My gentle (or not so gentle) reminder is to avoid placing Qtips in your ear at all, but if you do, please look at it before throwing it away. Just saying. 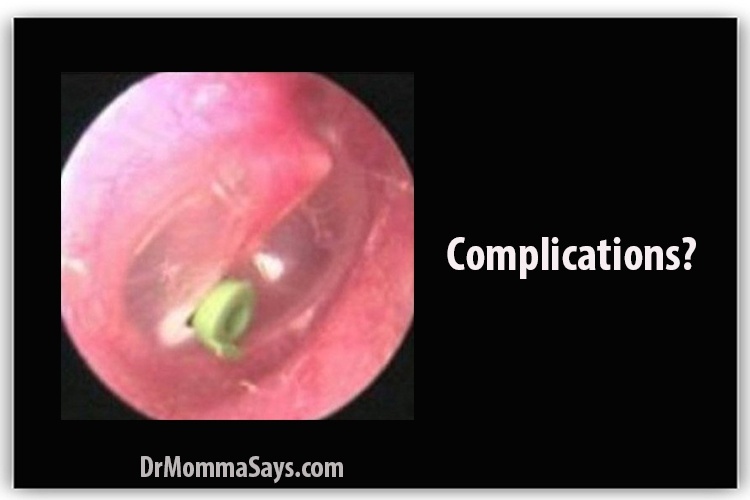 When the ear canal slopes up a lot, there tends to be more pain when the Qtips go too deep. This is a nice warning to stop but some people have a relatively flat ear canal. So they continue to reach deeper into the ear which can lead to puncturing the eardrum. Additionally, many children choose to clean their ears while playing with siblings and friends. One thing leads to another, and the Qtip gets shoved into the ear! On the other side of the eardrum, we have 3 bones to help with our hearing. A dangerous ear Qtip that hits the eardrum may damage these bones, even if the eardrum is not perforated. Hearing loss and dizziness are the most common complaints. This can be an extremely dangerous situation because one of the bones may be pushed into the inner ear which can cause permanent damage. Ear wax buildup or impaction may cause hearing loss. When the wax is attempted to be removed, it can be pushed deeper into the canal and cause worsening hearing loss. The outer ear infection and eardrum perforation may also lead to hearing loss. There are three types of hearing loss but usually, the one caused by wax or their complications is a potentially reversible conductive hearing loss. Depending upon the degree of damage, a permanent nerve damage hearing loss may occur. One last tidbit about Qtips. They became a household name in the 1930s and, eventually, competitors made similar products. However, the name Qtip was trademarked and Johnson and Johnson lost a lawsuit when they tried to market their product as Cotton Tips! They were forced to change their product name to Cotton Swabs. Now you know that Qtips are the real deal and Cotton Swabs are the knockoff. But remember to NEVER use either of these in your ears! If you have a problem, see your physician for treatment and discuss a preventative plan to avoid repeated problems. As always, much love for supporting my work. I will be adding many more posts to highlight parenting and healthcare tips, so be sure to consider subscribing to my podcast or to my blog to avoid missing a post! Enjoy Dr. Burton’s skin care secrets with Kiehl’s products! I am an empty nester pediatric surgeon sharing timeless tips on parenting and healthcare based on 25 years of experience. So a finger nail is a bad idea, too? 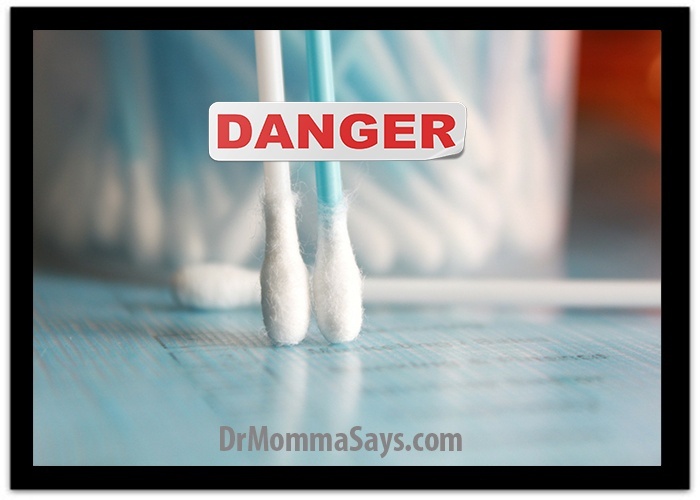 I’ve never kept any form of q tip in my home except in the safety kit which is kept out of children’s reach. When I was a child I had many ear infections and as a teen (in the 70’s) my physician told me nothing bigger than my little finger. I stuck to that but, I have to admit sometimes I let my nails grow out a little. Oh my gosh this post is so interesting! I love the story of how Q-tips were created, I had no idea! Thank you for sharing the dangers of Q-tips, I had no idea! Wow! I’ve heard that using qtips all the time is bad but I hadn’t heard of some of these other problems. So important to learn that some of these habits are the best for you. Our ENT doctor does not recommend cleaning ears as much as you can. The ears needs ear wax. He recommends he’ll do the cleaning on the inner part if it needs to be cleaned. As for the QTips, just use it for the outside cleaning or use face towels instead. Scary to think what may happen when using this product. Thanks for bringing awareness! I had no idea these were so dangerous and will stop using them immediately! Sharing this with my sister too! I had heard they are bad but i did not know that bad. I think the EU is trying to remove them from commerce so that’s how bad they must be! You have to be extra cautious when using them. They can really do some damage. My mother actually had this funny plastic tool that was essentially a thin rod with a small plastic loop on the end. I believe she said it was actually recommended to her by a pediatrician, and may even be a tool they use (or used at the time). She’d use it to gently remove wax from our ears, although it doesn’t seem to me it would be practical for the people that have the “sticky” rather than “flaky” type of ear wax! Thank you for sharing. I had no idea qtips could be so dangerous. Growing up, my family always reached for the q-tips, thanks for sharing this. I often see and read warnings like this to not use qtips for cleaning the ear. But then, often times, I still do it. So what I did is I bought a spoon like thing thag can be used to scrape down excess ear wax out my kid’s ears very gently. Is it safe? Thanks for this information. I am also a user of Qtips, and I have to be very careful for it. I learn a lot from your guide. Well as a PA practicing ENT under my supervising physicians close supervision, one of my many responsibilities is debrieding of cerumen from ears frequently mixed with cotton fibers, which has frequently been impacted by the patient, utilising dangerous Q tips. I digested my instructions relative to this subject down to the following. 3 if you own a gun, you can certinly clean this with a Q tip. These are the only uses of Q tips!! You may use your elbow to clean your ear, you may not use someone else’s elbow!!! Ears are typically self cleaning. Only have ears cleaned by a trained professional who is looking in you ear with an instrument while he or she is doing this!! Fabulous post! Everyone has heard of nothing smaller than the elbow goes into the ear, but somehow they think there is an unspoken exception for Qtips. Wrong. Thanks for sharing. This is scary because everyone uses Q tips! But its great to be informed to be careful! I agree. It is almost a universal thing to reach for Qtips but the box tells us not to put them in the ear. Hopefully, this will make us think about other options! I am a pediatric surgeon who successfully raised two daughters. As a baby boomer, I share parenting and healthcare timeless tips. Children are born who they are meant to be. Parents must raise them to be the best version of themselves that they can be. Wouldn't you love to stay updated with new parenting and healthcare tips?